# SmackDown LIVE preview, March 19, 2019: Can Kofi Kingston run the gauntlet? * Last week, Kofi Kingston asked Mr. McMahon exactly what he needed to do to get a WWE Championship Match at WrestleMania. The WWE Chairman spelled it out for him: He must defeat Randy Orton, Samoa Joe, The Bar and Rowan in a Gauntlet Match. Can The Dreadlocked Dynamo overcome these immense odds and punch his ticket to WrestleMania? 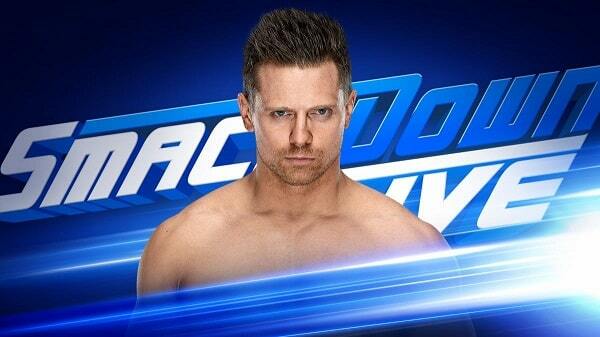 Find out when the Gauntlet Match kicks off SmackDown LIVE, tonight at 8/7 C on USA Network! * Kofi Kingston asked for an opportunity, and Mr. McMahon gave him one. The Dreadlocked Dynamo’s WrestleMania quest started when Kingston entered a Gauntlet Match prior to WWE Elimination Chamber, lasting an hour in a performance that had the WWE Universe clamoring for Kofi to be given a chance on a bigger stage. Kingston put on another stellar performance inside the Chamber, making it to the final two and nearly dethroning Daniel Bryan before narrowly coming up short. Can Kingston defeat five of WWE’s toughest Superstars and earn his place on The Grandest Stage of Them All? Find out when this high stakes Gauntlet Match kicks things off tonight on SmackDown LIVE at 8/7 C on USA Network! * The Miz will break his silence on Shane McMahon’s shocking betrayal tonight. * For weeks, The IIconics have been calling out WWE Women’s Tag Team Champions Sasha Banks & Bayley for showing up everywhere but SmackDown LIVE since becoming the inaugural champions at WWE Elimination Chamber. The Australian Superstars accused the titleholders of ducking them. # What’s next for Becky Lynch and Charlotte Flair? * Becky Lynch and Charlotte Flair have traded verbal barbs in recent weeks, ahead of their WrestleMania Triple Threat showdown for the Raw Women’s Championship with Ronda Rousey. The Man has been focusing most of her attention on The Baddest Woman on The Planet as The Show of Shows approaches, which has drawn the ire of The Queen. As Flair looks to remind Lynch and the WWE Universe that this is “her” WrestleMania main event, what will happen next between these two bitter rivals? Find out tonight on SmackDown LIVE at 8/7 C on USA Network! @admin, Can you upload the smackdown videos without the usa logo? like you did on this week’s raw and main event? with just the wwe logo it looks better! Ill try but some times that channel gets green tint & messes up some part of the show, i avoid it for that reason..